Denise Drysdale is set to make her return to TV as a panellist on the upcoming Ten Network program, The Circle. 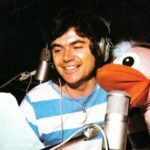 One of Australia’s true TV veterans, Drysdale was a performer in children’s television in the 1960s, later featuring in pop music shows Kommotion, Uptight and Dig We Must and on Graham Kennedy’s In Melbourne Tonight. A number of guest appearances in Crawford dramas Division Four and Homicide later led to her becoming Ernie Sigley’s sidekick on the Nine Network’s The Ernie Sigley Show. 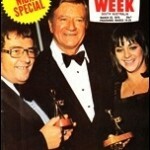 Their popularity led to them, in 1975, winning TV Week Gold Logies for most popular male and female on Australian TV. 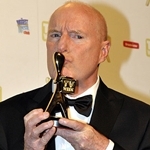 Drysdale then won a second Gold Logie the following year. She also starred in the sitcom The Bluestone Boys and musical special The 20s And All That Jazz (pictured) and appeared on Young Talent Time, Cop Shop, Countdown, The Penthouse Club, The Truckies, The Don Lane Show, The Mike Walsh Show, The Daryl Somers Show and co-hosted Hey Hey It’s Saturday after the departure of Jacki MacDonald from the show. Living on a farm since the late-‘70s, she also hosted her own weekly program in the 1980s on local channel GLV8, based in Gippsland, Victoria. The new Ten Network show marks Drysdale’s return to daytime TV after previous success when re-united with Sigley for In Melbourne Today in the late ‘80s, the program later titled Ernie And Denise when the show went national. 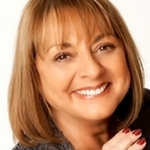 Then after two years as co-host on the revived In Melbourne Tonight with Frankie J Holden, Drysdale had her own daytime show, Denise, on the Seven Network in the late 1990s. Recently, she has appeared as a guest on ABC’s Spicks And Specks and in the Hey Hey It’s Saturday reunion. Also appearing as regulars on The Circle will be Foxtel presenter Yumi Stynes, performer and TV presenter Gorgi Coghlan and former Big Brother contestant and Vega FM breakfast presenter Chrissie Swan. Scheduled to air weekdays from 10.00am, the new two-hour show promises topical chat with audience interaction. The existing one-hour Ten News bulletin at 11.00am will move to 9.00am. From the outset, it appears that The Circle looks like a daytime twist on Ten’s early evening The 7PM Project, a program that also features regular and guest panellists discussing issues of the day with some audience interaction. The Circle’s all-female panel format also appears to bear a resemblance to the popular US show The View (shown in Australia on Foxtel and Nine), and its less-successful Australian adaptation, The Catch-Up, which aired on Nine in 2007. It will be interesting to see if The Circle can overcome these perceptions and offer a viable alternative to The Morning Show and Mornings With Kerri-Anne on rival networks Seven and Nine. Denise is a talented gal who's never been fully appreciated by any tv network, similar to the late, great Mary Hardy. I agree Jayne. Seeing Denise on a re-run of Spicks and Specks last week on ABC2 just reminded me what a great talent that she is and that it has been a shame that she hasn't been allowed more opportunities on TV. Meanwhile people like Sam Newman continue to be employed.